Home » The Law & You » The Insurance Won’t Pay for Hit and Run Because of Our Limited Tort Policy. The Insurance Won’t Pay for Hit and Run Because of Our Limited Tort Policy. While walking on the side of the road, a viewer’s nephew was hit by a car and injured. The family only has limited tort and the insurance company doesn’t want to pay. Is this right? Dave Kuharchik: Time, once again, for “The Law & You” featuring the area’s premier attorneys, good to see Greg Fellerman and Harry McGrath, who is here for Ed. Harry McGrath: Thank you, Dave. Greg Fellerman: Good to be here. Dave: Question time tonight, well get down to it and help out another viewer here on “The Law & You” and we’re talking to Neil in Towanda. Neil says, “My nephew was walking along the side of the road and a car hit him. He was injured but is doing better. We have limited tort policy and the insurance company doesn’t want to pay because we have limited tort. Is that right?” It’s a different take on the insurance question, what happens in this particular scenario? Harry: Neil, it sounds as if the insurance company is giving you bad information because in Pennsylvania, despite the fact that you have selected limited tort insurance, if you’re injured as a pedestrian, you’re not inside a motor vehicle, you are automatically considered to be a full tort insured. Therefore, if you have sustained any injuries from this accident that your insurance should provide coverage. Greg: We always talk about limited tort and why you don’t want to have it because it makes it harder for you to file a claim. Here’s an insurance company showing you that’s the first thing they do all the time. There are exceptions to the limited tort and being a pedestrian is one of them ,being on a bicycle is another one, being hit by a drunk driver is also one. There are ordinate ones and the other one is an out-of-state driver- if you’re hit by an out-of-state driver. There are exceptions but that’s not the rule. It’s better to get the full tort insurance. It sounds like he’s doing a bit better, but you probably still have a case. Dave: If you need help from our attorneys, pretty easy to reach you guys, how can people contact you? Greg: Give us a call 570-714-HURT, you could see us on the web 714hurt.com, we’re also on social media. Harry: Yep. You can reach out to us on Facebook, LinkedIn, we’re available in any way so just get on the computer and get in touch with us. Greg: Lowe’s, Wegmans, we’re there. Dave: Guys can’t be anymore accessible. 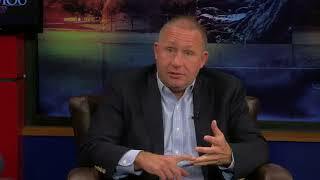 Dave: Results matter attorneys Greg Fellerman and Harry McGrath. Guys, thanks so much. Dave: Don’t forget pahomepage.com and “The Law & You” hotline are always there for you.